If you can only choose one of our local breweries in Hershey & Harrisburg, it’s gotta be Tröegs Independent Brewing in Hershey. Known up and down the East Coast for their bold and adventurous beers, Tröegs invites you to sample the essential brews, try the limited edition ales, and pull back the curtain of the production line. It’s hard to imagine Tröegs’ beloved flagship brews like the powerhouse doublebock Troegnator and the refreshing and complex Sunshine Pils as just a dream. 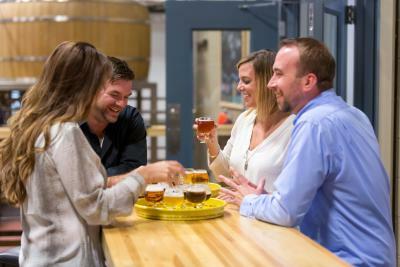 The founders of Tröegs Independent Brewing – brothers Chris and John Trogner – built their dream brewery in Hershey to facilitate production of a signature line of beers but also to have the capacity and wherewithal to create imaginative brews. If they can dream it, they can brew it! When you give two creative brewmasters the resources to invent and innovate, you get adventurous beers that win over beer lovers in droves. Tröegs plays homage to the hop growing cycle with four inspired, hoppy ales that take center stage each season: First Cut Mango IPA, Crimson Pistil Hibiscus IPA, Hop Knife IPA, and Blizzard of Hops Winter IPA. Each is a perfectly balanced brew that uses the best qualities of the hops at various times of the year. Similarly, Tröegs has a line of elusive brews that are harder to find because they come out but once a year, and sometimes for just one month. Their famous holiday-inspired ale, Mad Elf, put Tröegs Brewery on the map, capturing all the flavors of the season - cherries, honey, and cocoa with notes of cocoa, cinnamon, clove, and allspice – into an 11% ABV ruby red cup of Christmas cheer. The first batch of the brewing season is Nugget Nectar, an Imperial Amber Ale that squeezes out the mango and creamsicle notes of super-fresh Simcoe hops and clocks in at an impressive 93 IBUs. It&apos;s only a matter of time before you become a Tröegs superfan and you&apos;re planning your picnics around which of their beers you can pack into the cooler. John Troegner has said his favorite part of brewing is overhearing someone ordering their beer at a bar. Thanks to the support of their fans and the success of their year-round and perennial ales, the Tröegs brothers can let their imaginations run wild with pet projects and experiments. Tröegs uses the Scratch Beer Series to test out new flavors, ingredients, equipment, and brewing techniques, and have created more than 350 varieties to date. Many of Tröegs’ signature brews started in the scratch tanks, and due to rave reviews of brewery visitors and employees, graduated to wider release. If you ask Tröegs’ die-hard brew fans, they’ll be able to recall a numbered Scratch Beer that they still dream about long after the keg runs dry. When you&apos;re visiting the brewery, sample a few limited availability scratch recipes - you might be tasting the first rendition of their next flagship brew. If you follow Tröegs on social media, you know that the brewers make pilgrimages to hop farms and local fruit orchards to taste and see the ingredients first hand. They love to use regional and seasonal fruits and products in their beer that not only enrich their beers with fresh flavor but deepen the brewery’s community roots. In the fall, Tröegs trucks in 3,000 lbs. of pumpkins from Strites Orchard in Harrisburg for the rich Master of Pumpkins. As you can imagine, it takes patience to plant, raise, pick, slice, clean, and roast the pumpkins. This cinnamon, clove, ginger, and nutmeg spiced beer is described by Troegs as a labor of love, worth the once-a-year wait. Another community fruit infusion story - The Tröegs brothers once bought a batch of hailstorm-bruised nectarines from a Pennsylvania orchard to ferment their Dear Peter wild fruit ale, noting "what won&apos;t work at a roadside stand will be aces for brewing." Hailed as one of the top 5 brewery tours in the nation by USA Today, Tröegs’ Guided Production Tour takes visitors behind the scenes of the plant. It starts with the hops, up to the brewhouse deck that overlooks the tasting room, down to the fermentation cellar, and over to the packaging lines. 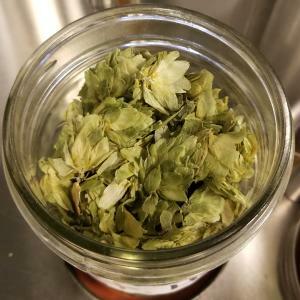 Peek inside the tanks, hold whole-flower hops in your hand, and take a swig of fermented and finished Tröegs favorites. It costs $10 to take the tour, but your 45-minute brew journey includes a welcome beer and a souvenir glass only available to tour takers! The guided tours are very popular, so we recommend booking your tour time in advance! 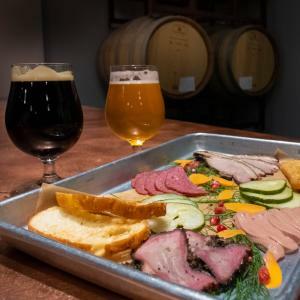 Seasoned Tröegs’ beer imbibers will want to take the 90-minute Splinter Tour where you’ll learn about their wood-aging process that produces extra special wild-fermented ales, fruity sours, and bourbon barrel-aged heavy brews. The 21-foot-tall foeders in the Splinter Cellar are made of Italian, French, and Hungarian Oak and make a happy home for wild yeast and bacteria. 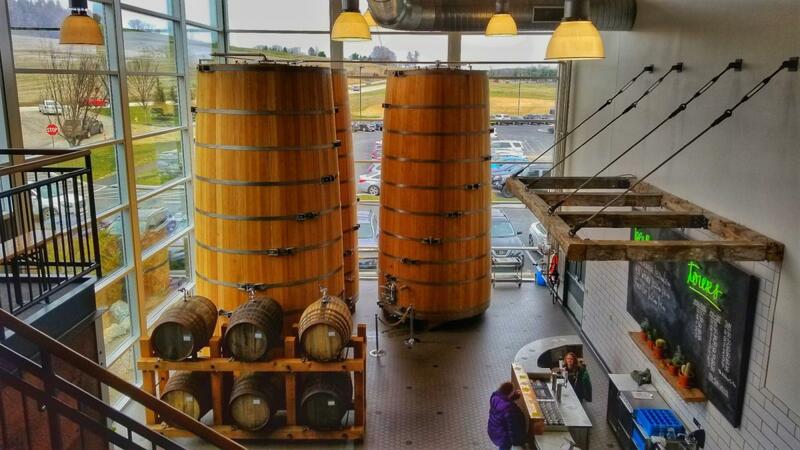 These towering beauties can yield more than 93,000 bottles and weigh 96,700 pounds when filled. As a Splinter Tour guest, you’re treated to an intimate tour and sit-down chat in the Barrel Room. You can taste four limited edition beers, enjoy a snack pairing, and take home a Tröegs chalice. These exclusive gatherings are limited to 12 people and occur on the first Saturday of the month. All Tröegs visitors are encouraged to grab a glass of beer and take the Self-Guided Tour through the center of their brewery. Peek inside the quality lab (hey, beer is art and science! ), check out the barrel-aging room, and watch bottles of your favorite brews being filled, capped, and packaged! It&apos;s mesmerizing! The sign above their craft kitchen says SNACK BAR, a deceiving moniker when you read their spectacular artisan offerings. Aligned with the brewery&apos;s commitment to local beer ingredients, the Snack Bar’s menu items are made from scratch and inspired by seasonal produce. Choose a share-ables like rosemary Popcorn, an Oktoberfest Pretzel, or Charcuterie Plate, or enjoy small and large chef’s specials like Lamb Meatballs, a Duck Confit sandwich, or Mussels. There&apos;s something about a craft beer and munchies that complement its flavors that enhance the entire brewery experience. Join Tröegs on Sundays for brunch, with hearty weekly specials like breakfast pizza, house-made scrapple, and biscuits & gravy. Some people get their best ideas while they’re enjoying a cold brew, and sometimes the beer brand itself can be a source of inspiration. Tröegs invited their fans to use their beer as a muse to create art – drawings, sculptures, bottle-cap art – for the Art of Tröegs contest. See some of these works in their brewery while you’re waiting for the guided tour to begin. Tröegs can get pretty busy in the evenings and on most weekends, packed with visitors and locals alike. For a leisurely visit, try a weekday or early in the day on Saturdays and Sundays. Be sure to book your guided brewery tour in advance, and if you’re bringing a group, try to carpool because parking is limited. Save some souvenir cash for their General Store, filled with Tröegs swag like shirts, hats, glassware, bar equipment, artisanal beer soaps, cases to-go, and recycled factory shirts. Troegs is also one of our region&apos;s most Instagrammed locations! Snap a shot of your beer or take a family selfie and tag us: #visithersheyharrisburg! Tröegs. Interesting name. What’s up with that? Chris and John Trogner combined their last name with kroeg, the Flemish word for pub to form their moniker Tröegs. And if that raised more questions than it answered, Flemish is a Dutch language dialect spoken in Belgium. And Belgium-style beer is tasty. It all makes sense! Do you have a favorite Tröegs brew than your friends? That&apos;s okay. Beauty is in the eye of the beerholder.